If you've seeded your playoff brackets with placeholders (1st of Pool A etc.) the system will automatically fill in the actual teams according to their standings once you enter the scores for all relevant pool/group stage games. – if all your pools finish before the playoffs, this is your easiest option. Winners are advanced to the next round automatically. You only need to trigger this bracket update once at the start of the playoff stage. 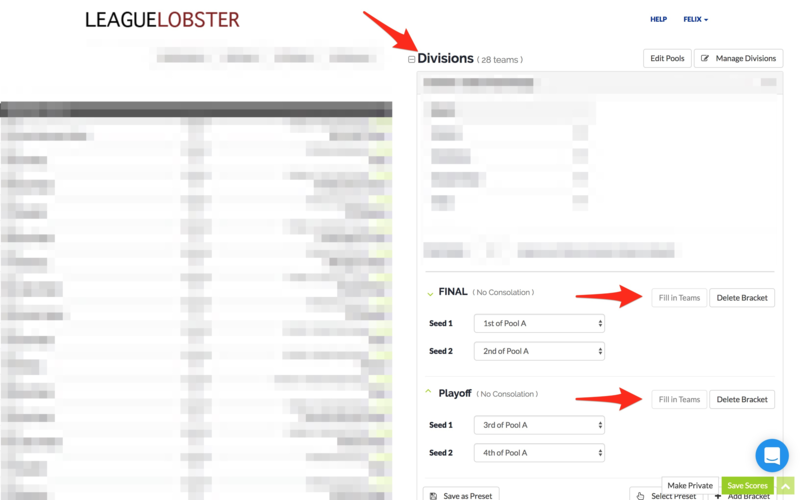 If our standings do not reflect your rules 100%, you'll want to change the seeds using the dropdowns to select the actual teams for each seed instead of using the auto-fill buttons shown above. 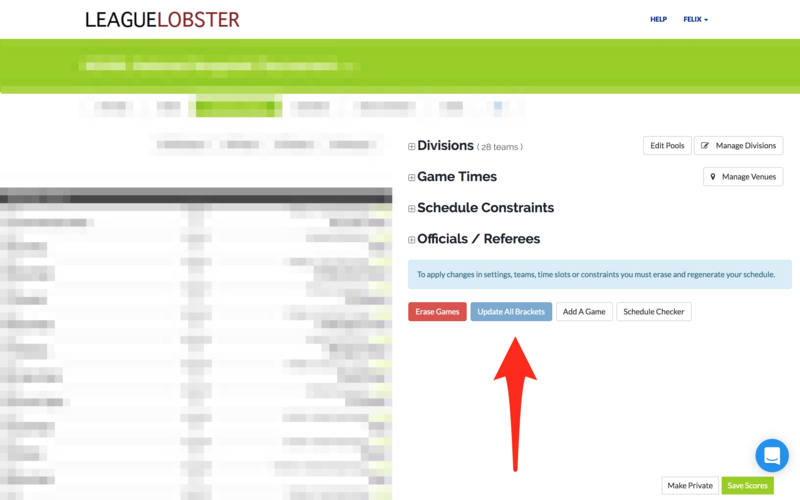 You'll only need to do this for the divisions for which you want to override the standings; then you can simply use the buttons (either option above) for the other divisions.